TSB is excited to announce a wonderful upcoming event at the Time Out Foundation—a 35-acre farm in beautiful northwest Connecticut that provides children and teens with the time, space, and experiences they need to create positive change in their lives. 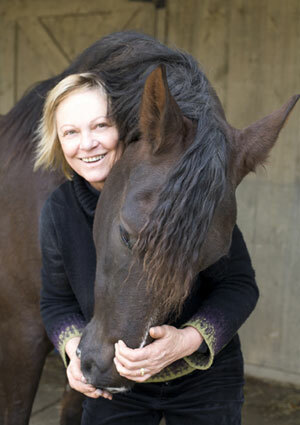 On May 20, 2018, from 3-5:00 pm, TSB author Paula Josa-Jones will present a playful, collaborative equine event based on her book OUR HORSES, OURSELVES entitled “3 Horse Tales for the 21st Century.” CLICK HERE to hear Josa-Jones talk about the event and what she hopes it will help achieve in a short interview with Marshall Miles on Robin Hood Radio. A short time ago, we found some time to chat with Josa-Jones about her book and her work as a choreographer and a dancer. 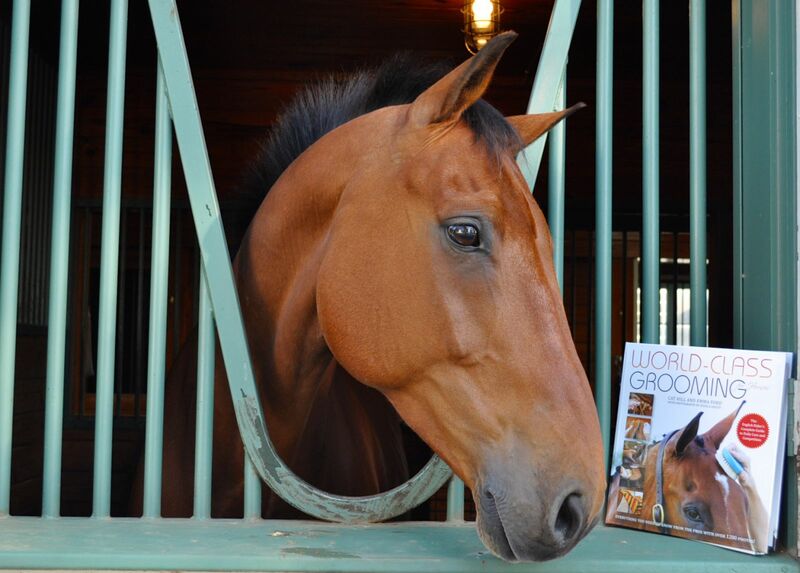 It was wonderful to learn a little more about her hopes for the horse world, as well as her creative process. Here’s what she had to say about OUR HORSES, OURSELVES and the differences between working with human dancers and finding ways to “dance” with horses. 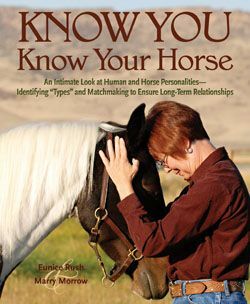 TSB: Your book OUR HORSES, OURSELVES: DISCOVERING THE COMMON BODY was published in the fall of 2017. Your perspective as a dancer and choreographer offers a different “way in” to that place of connection with the horse everyone strives for. For those who are unfamiliar with your work, how would you explain the relationship between your life as a dancer and your life as a horsewoman? PJJ: Movement! Between 60 and 80 percent of our communication is nonverbal, spoken in the bodily languages of movement and touch—including conscious and unconscious movements, gestures, postures, and facial expressions. The whole encyclopedia of our movement is in fact an intricate web of communication. Horses are in fact masters of the this movement language. They are speaking in it all the time. Every movement is expressive and carries meaning. Much of their communication has such subtlety that even very experienced horsewomen and men find it difficult to parse. My own story is that I rode as a young girl, and then horses left my life and dance became primary. And then I found myself needing to be around horses and ride again as an adult. Almost immediately I wanted to get out of the saddle and explore moving with them on the ground. I wanted to speak with them in the shared language of movement and see what would happen. As an improviser, I was curious about just being still, listening with my body, and letting movement arise from simply being in their presence rather than from “performing” planned or patterned movements. I am still doing that. I would say that I try to dance every aspect of my relationship with my horses, and with the work that I do with students and clients. TSB: OUR HORSES, OURSELVES provides dozens of gentle exercises and meditations. 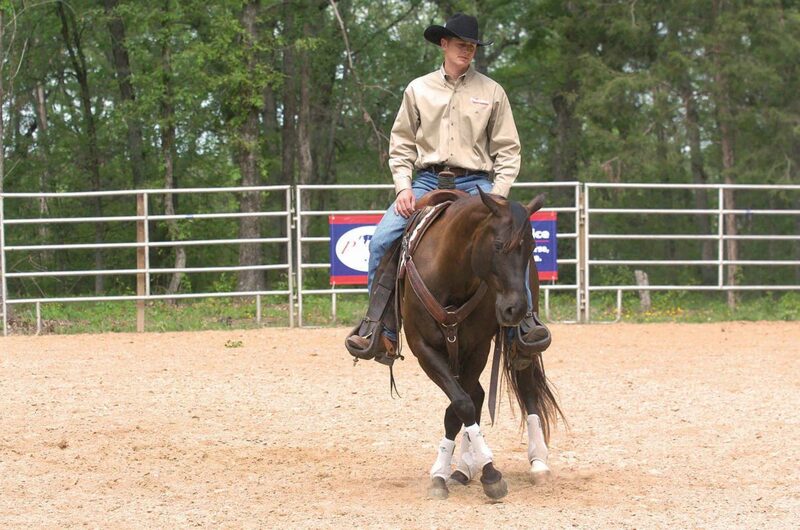 How can these simple activities, many of them out of the saddle and away from the horse, improve riding, training, and competitive performance? 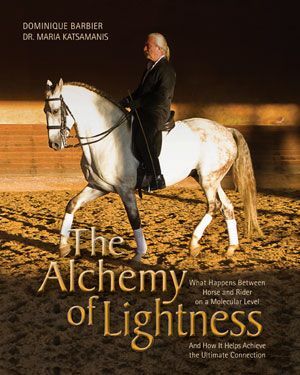 PJJ: The idea of many of these exercises is to support riders and horse people in having a more holistic, sense of themselves and their bodies, and understanding that this embodied awareness is an essential foundation for all dimensions of horsemanship. Embodiment means experiencing our bodies in a continuous, feeling, conscious way, what I call “body presence,” meaning a moment-to-moment awareness of the flow of thoughts, feelings, sensations, and energies through our bodily selves. So instead of fixing the horse—the neck, the jaw, poll, or inside hind—or making small or big adjustments to the position of our legs, or hands, or seat, we start to feel the whole of ourselves in connection with the whole of the horse. This moves our focus from outside (seeing ourselves as an external viewer) to inside (feeling ourselves from within). Mindfulness about our bodies and our movement takes practice! We have to notice the details of our movement and bodily sensations in an ongoing way: how you pick up your cup, hold your steering wheel, sit at the computer, get up, shake someone’s hand, pick up your grooming brushes, move around your horse or your house. Also, the exercises in my book are intended to move us toward a more “awake” expressive, exploratory, curious, and playful experience of our moving selves in relationship to the horse. So much of our movement is functional—about going somewhere and doing something—and we forget to “dance” our lives, or may not even consider that as possible. I want to challenge the unconscious, the habitual, and look for ways to “wake up” and experience each breath, each ride, as unique—as an opportunity to become more awake and engaged. TSB: What is one lesson you hope readers will take away from your book? PJJ: That we are not separate. The subtitle of my book is “Discovering the Common Body.” I want to emphasize that your body is not separate from my body or from the body of the horse, the praying mantis, the hummingbird, the manatee or the earth itself. In his book The Songs of Trees, author David George Haskell, says, “Life is embodied network.” What that means to me is that all living beings are an interconnected, interspecies, bio-similar, cross-pollinating network in a constant flux of adjustment, response, and transformation. Often, however, we are not feeling that ongoing connectedness; we are not orienting toward the pleasurable dimensions of that relationship with others or ourselves. I believe that the horses can help us with that. There is something so precious and profound about entering the mystery and the silence of connection with them that has little or nothing to do with technique or conventional horsemanship, and everything to do with the deep alignment of relationship. TSB: You have choreographed performances for humans and those for horses with humans. What has been most rewarding in your work with dancers on the stage? With those in the arena and on horseback? PJJ: Each dance has its own intention and necessity at the time that it is created. That means that the ideas and the movement materials that were a part of that particular dance took on the quality of an obsession, with a specific, intense urgency. For example, I worked over a period of two years on Ghostdance—with my company and in collaboration with a community of dancers in Mexico, and the composer Pauline Oliveros. That happened to include the year that my father was dying, and so that gave the dance a particular edge, and deepened the work in some unexpected and important ways. I love each dance that I have made. I would have to say that I love the work into being, into form, and that each one leaves its traces—changes me deeply—and makes way for the next work, and the next. The important thing is to let oneself be drawn to the work, like a surfer waiting for that next perfect, inevitable wave. With the horse dances, RIDE, the first dance that I created with horses, has a special resonance. I think that is because it grew from a community of riders and horse people (I was living on Martha’s Vineyard at the time) and had a velocity and potency that took us all by surprise. Like that wave, again, we all felt we were being carried. I was also a complete beginner in my adult horsemanship and in making dances with horses, and had all the blessings of beginner’s mind, meaning a strong, eager determination but few preconceptions. PJJ: Probably a Friesian, like my strong, steady, beautiful Sanne. On the other hand, perhaps an Andalusian, like my feisty, enthusiastic, gorgeous stallion Capprichio. Both? I will need two books: the complete poems of Mary Oliver and any mystery by Ruth Rendell. TSB: If you could do one thing on horseback that you haven’t yet done, what would it be? PJJ: Riding an Icelandic pony in Iceland! I have always wanted to know what tolting feels like. TSB: What is your greatest fear? PJJ: Something happening to someone (animals included) that I love. TSB: What is your greatest extravagance? PJJ: The horses, always the horses! TSB: If you could change one thing about yourself, what would it be? PJJ: I am VERY sensitive, like an anemone. That is a blessing and a curse—a double-edged sword. I love that my sensitivity allows me to feel everything so deeply, and wish that I were not quite so vulnerable to the cruelties. On the other hand, my outrage fuels my activism. TSB: What’s in your refrigerator at all times? PJJ: Avocados, goat milk, and something green. TSB: What is your idea of perfect happiness? PJJ: I have more than one! Riding out with my horse on a spring morning or a fall afternoon, tasting the air together, feeling each other. Reading a book while listening to the Caribbean ocean. Swimming in the Caribbean ocean. Standing with Sanne’s nose pressed into my shoulder. Sitting on the porch with a cup of tea and my beloved Pam White. PJJ: Please don’t make me pick ONE!!! Eleanor Roosevelt. Rachel Carson. Harriet Tubman. PJJ: I believe in deepening creativity and awareness playfully, through the body, and finding ways to expand understanding and feeling with all sixty trillion cells, not just the ones perched on our necks. That means having a 24/7, wide-awake, multi-sensory, empathetic bodily experience of the world and ourselves. 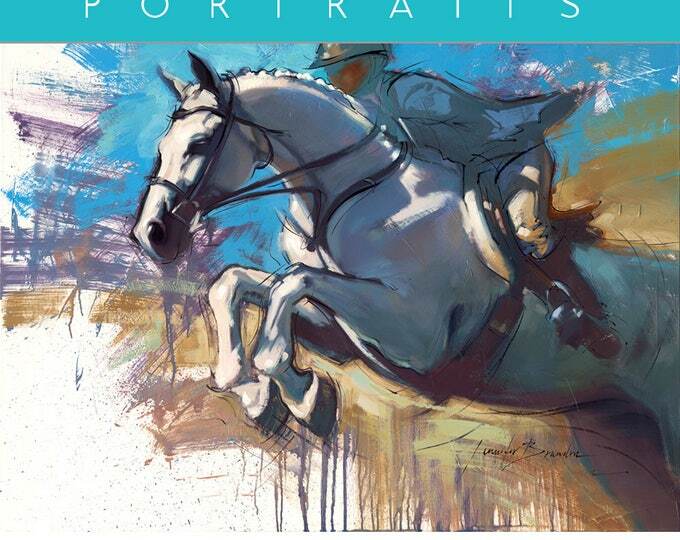 Paula Josa-Jones’ book OUR HORSES, OURSELVES is available now from the TSB online bookstore, where shipping in the US is FREE. 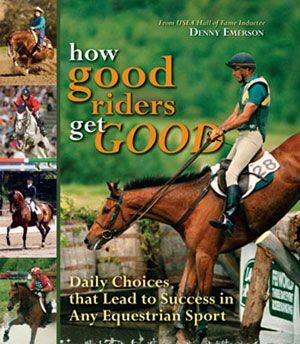 Bestselling Equestrian DVDs Now Streaming! The way we watch our favorite television shows and movies is changing—we want access to the programming we love where and when it works in our busy lives. Nothing could be truer for the active horseperson: Whether we want to illustrate a point for a student on our smartphones, cue up a training video on the tack room television on a rainy afternoon, or enjoy a horse movie on our tablets when traveling to a show, having viewing choices literally at our fingertips and a link-click away is not a luxury anymore—it’s what we all expect. Trafalgar Square Books believes that equestrian education and entertainment should evolve in order to maintain its necessary place in each of our horsemanship journeys, so we are pleased to announce the first online streaming programs now available from our expansive video library. Beginning with six of our bestselling videos and gradually growing to include the other popular titles we produce and distribute, we hope to continue to be able to offer accessible, quality information about horse care, training, and riding to all those seeking knowledge and looking to improve not only their skillsets, but also their connection with horses. 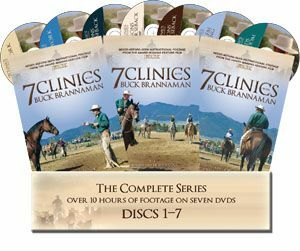 Visit TSB’s online bookstore at www.HorseandRiderBooks.com and click on “DVDs” to find our Streaming options (or CLICK HERE). Purchase from our site via our video streaming partner VHX.tv, a division of Vimeo, means you will own the streaming rights to your program of choice and can view it whenever you wish—on your smart TV, computer, tablet, or smartphone. VHX/Vimeo provides specific instructions (as easy as a click on a link or the download of a free app) on how to set up to watch on any device, as well as excellent support when customers have questions. More streaming options will be added in the coming year. 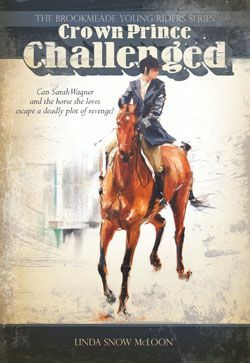 Join the TSB mailing list at www.HorseandRiderBooks.com to find out about new releases and forthcoming titles. Klaus Ferdinand Hempfling is more than a horseman. He’s a global brand with a tremendous international following—over 1.3 million on Facebook alone and YouTube clips with views also in the millions. He is incredibly prolific, with a multiple books and videos on horses and the horse-human relationship published in a number of languages. He is a writer, a philosopher, an artist—but mostly a teacher. 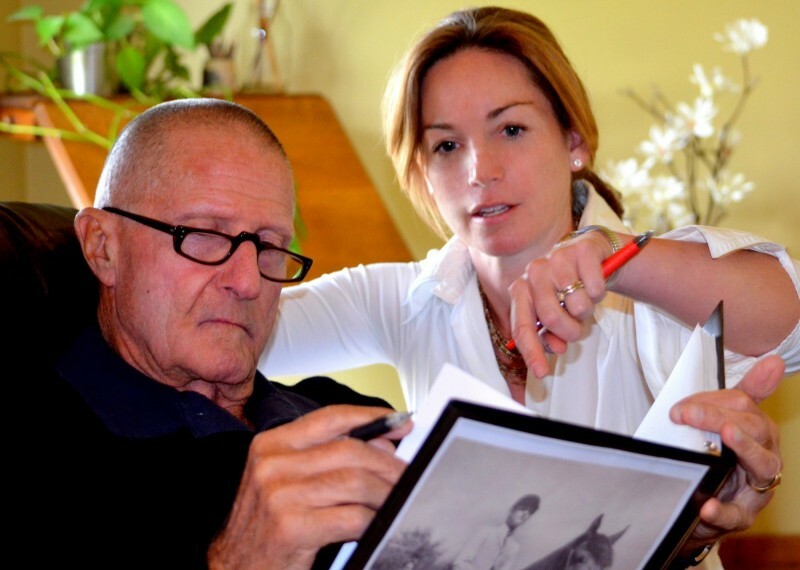 His words, ideas, and images have changed the way people all over the world have interacted with their horses, with their families and friends, with their colleagues and business partners. It isn’t often that we have the opportunity to interview Klaus; he is immersed in his study of horse and human nature and keeps an extremely busy seminar, consulting, and life-coaching schedule from his base in Denmark. But we were lucky enough to spend a morning talking with him about his newest offering for those who are searching for an authentic place in life and with horses: for the first time, Klaus’ autobiographical narrative THE MESSAGE FROM THE HORSE is available in English. And as we discovered in our conversation with him, within it lies quite possibly the secret to genuine love, authentic life, and the question of whether human beings should experience a necessary process of initiation before they are able to train, ride, and own horses. TSB: It seems in many ways THE MESSAGE FROM THE HORSE is especially relevant today considering the current state of the world. How do you feel the lessons in the book might be able to help humanity as a whole—in 2016 and beyond? KFH: I agree absolutely with what you are saying. I have been writing this book some 25 years ago, and when I delivered the book to the publisher in Germany then, he told me that this book was probably published 25 years too early. Nevertheless you are right—it is definitely very on board, very present right now in light of all the confrontations that happen in the world and at the same time with the apparent lack of solutions. TSB: How did you reach the place where you are now, as a world leader in life-coaching through horses? 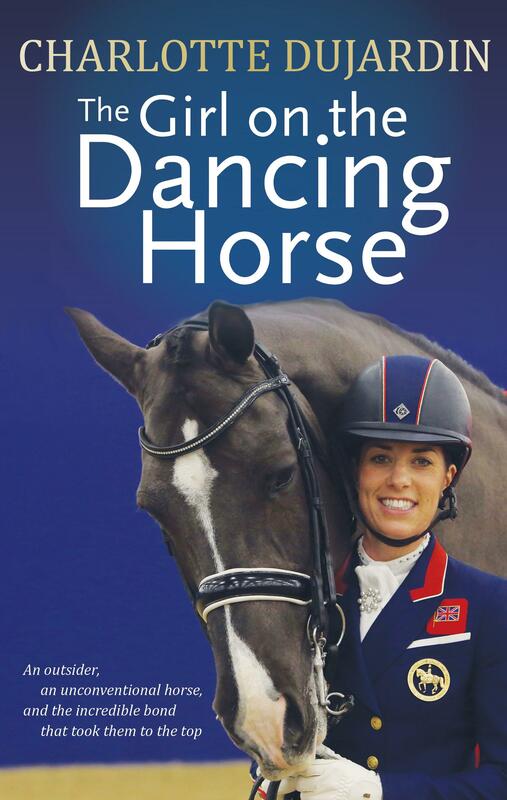 KFH: When I started being with the horse (and this is a big part of the book), it was never like…that I was just interested in riding the horse, in being a show rider, a jump rider, this was never the interest. I was coming from an entirely different aim toward the horse, trying to discover again the horses for what they have symbolized and what they have been meaning to our forefathers, something very symbolic—a very high-range medium for personal development. Our forefathers, they always had the idea that the way how people are dealing with horses, the way how people are treating horses, the way how people are able to communicate with them, to bond with them…or in the other way, to treat them bad or to struggle with them, that this is always indicating the level of society…the quality of society itself. TSB: So the way we are with horses is mirroring the state of society in general? KFH: Right. The state of society in general and also how people are dealing with each other, and how people are dealing with those that are weaker inside the community; inside the state. TSB: Did you set out to write THE MESSAGE OF THE HORSE as an exploration of this idea? 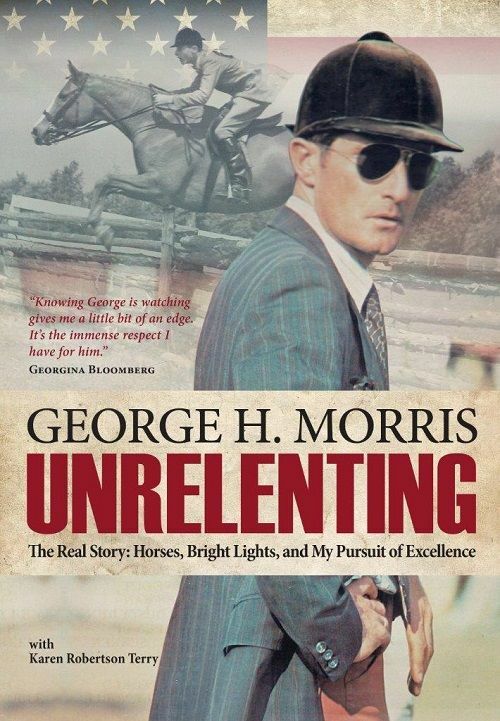 KFH: This was of course my attempt, my first attempt at being with the horses and trying to tell the entire story…the content of the book is not describing something like horsemanship itself, like how you should practically deal with something in this regard or that regard. This book is primarily talking about the spiritual, the philosophical, the symbolical background of the horse. We are as mankind, as entire creatures, confronted with so many huge reckonings and problems, and in this regard this book is definitely, in a way, trying to see, to watch, to perceive, and to observe our times with the eyes of our forefathers and with the eyes of the symbol [the horse] which they have mainly used in a way to understand the procedures, etc, of life itself. TSB: We presume the main character in THE MESSAGE OF THE HORSE is you. How honestly do the specific challenges the young protagonist deals with reflect your own experience as you were discovering the spiritual aspect of horses and horsemanship? KFH: One main idea of producing a book like this one is to bring things in a formal way together—to create, to formulate, something like a story, like a new artificial medium to entertain people, to have an exciting experience, to give them new ideas, in a way to educate them about different things on one side…and on the other side. A decision [to work] toward being a real, authentic, proper personality or being is timeless. In this book, I try to put the main aspects of my beginning of my life into an epoch of this young man who is living in the mountains, living with this monk, and of course, running through different kinds of misery, different kinds of confrontations with himself, with nature, with his expectations, with his ego, of course, together with the confrontation with this monk who in a way is mirroring all this. This young man really wanted…was always looking for something like an authentic way to perceive the world, which is hidden behind so many layers and walls. In this regard the book is talking about a period where I as an author…where I, where this guy, where I try to summarize all the experience before in my life which…with this epoch, starts to convert to really find the first authentic answers. TSB: Do you feel that one of the things we can learn from horses is the concept of genuine love? KFH: Yes, I think it is a very important question, which by the way…is very very often misunderstood. If we just look in this book, for example…at this old monk, who was pretty beastly treating this young man, leaving him more or less alone. He was absolutely not willing to give real answers—“You have to find it on your own”— which is very difficult for this young man. There was definitely a disharmonious relationship between the monk and this young man. But, finally, when [the young man] came back from his adventure in the mountains, they could cook perfectly together. So could we say that, in the beginning, there was something like love between the monk and the young man? Or that love was created later? The next question he was asking himself, “Why am I living? Why am I living here?” Everything is so horrible but still I am staying here?” The young man himself, he is also described in this book as ambivalent. Is he nice? Is he not nice? He’s seeking for very peaceful togetherness with the horse, describing it, but there was a moment when he was so fed up, so abandoned, when he was about to beat this horse and started to have cruel ideas…so what I want to say is this book is very much talking about love but on a level where our forefathers are trying to explain to us that there is something higher than love. When, for example, this Laozi, this guy who 5000 years ago was writing the Tao Te Ching, when he is talking about love, he is explaining it in a very simple way. He says, if you lead the path of Tao—and Tao I would translate as authentic life, into connected life with destiny—so if you lead this life, then on the next level you will meet with love. But…there is something which is bigger than it, which is incorporating love but in a different way. We have to understand that I say, for example, “I love horses.” But what is it with spiders? What is with snakes? What is with frogs? So in our way, where we are so often dealing with love, we are using the word very exclusively to say, “This Hamburger Hut I love,” but what is with the next one, what is with the next one? This book is talking so much about the real meaning of love so we are able to understand it even when in the first attempt we are seemingly disconnected from something, we are seemingly rejected from something (like so often the young man experiences this). TSB: We commonly use horses today to ease our own suffering (whether emotional or physical), but when we don’t go to them with purity of conscience or peace within, don’t they acquire our suffering without us easing theirs? Is this a fair exchange? KFH: This is the perfect direction to think about this entire issue. When I’m writing books then it is like this: there’s a lot of sort of information, a lot of vibration, to find between the lines…. Being with horses always has been one of the highest arts in personal development. If we look back even to the younger histories we can see leaders, state leaders, kings, emperors—even if they never in reality had been together with horses—they were always painted or sculpted on the back of the horse, with loose reins, the horse nicely collected, in something like a levade…So the idea that something like an emperor, a leader, is eager to be sculpted, to be painted, in a portrait together with a horse, on top of a horse, is radiating a sense directly to our very often unconscious understanding of symbols. Even if you have no idea what the horse means in reality, you understand that this person sitting on this horse is able to dominate, to maintain, to do something very special, and obviously this means that this emperor, this leader, this king, is qualified to lead people—to lead a nation. And that’s the idea. We look back to our forefathers and how they were treating horses, and this book is talking a lot about it…together with the monk, who perceived himself as the last lost ambassador of these ideas, and he definitely was not prepared once again to come back to the world and to life and to the position of a teacher…it did take a long time for the young man to convince him to take him into his house and give lessons and lectures…. So the point is: If you want to be with the horse, you have to already be something like and experienced something like a master. You can see this in the martial arts—those samurais of the Japanese culture, they…have to go through a career of a tea ceremony, of calligraphy, of paintings, etc. So this means that before you start with the horse you do have to run through something like an initiation. And the book is nothing more and nothing less than the explanation of this: The monk…only had to wait for the moment when he could sense the time was right for the young man in his “abandonedness” and (on the other side) in his innocent openness, where it would seem that everything was hopeless, all the effort was done for nothing…and this was the moment the wise monk was taking action to send him to the horses, knowing that if he would have sent the young man before, he would not be open enough, would not be desperately lost, close to death enough…. Coming back from this initiation suddenly the young man was different and this is the whole idea. Suddenly he could cope with the world, he could cope with the horses, and he could cope with the monk. All this what I’m trying to describe now, has been 200 percent erased from our understanding of what we do in life and what we do with horses. TSB: Is there a simple lesson that readers can take away to apply to their lives with horses and their lives in general? KFH: I am absolutely sure about this, and I think that not for nothing we have (by the way, in my opinion) a very nice translation in the English language and…I would like to express my gratitude toward the translator David Walser. Not for nothing we have this translation now because I think now, compared to 25 years ago when I did first write the book and [heard from] the first publisher that this is 25 years too early, I think now we are in a time where we will understand this, where people will understand this, much better—consciously and subconsciously. In my opinion this book is a reality, it is a real story (of course, converted into a novel, no question about it), and I think people will sense this…and they see now how I am with horses in my life. What I’m doing is congruent and authentic continuation of this book…is very much like a fairy tale. So if children, they read a fairy tale, they are with so many symbols—we have the seven mountains and the seven dwarfs and the seven walls we have whatever, all these symbols—and without explanation, the children are able to immediately connect with their soul with this…it is encouraging to children that finally Snow White will wake up again. Snow White will live, even if it looks so bad, even if everything seems to be lost…. With all the wisdom and wise words of the monk, I think that this book hopefully might touch conscious parts, and in a pretty huge way, unconscious parts—like the fairy tale—so that you may read this book page by page and breathe deeper and find trust again and to connect again…to strengthen and revive your hope…. There’s not one truth. If we have more than 7 billion people on the planet, then we have 7 billion truths. And that is also part of the story. So take your truth and find your path. The wisdom wherever it might come from. The connection to the horses, the connection to the monk, you will find it here and there…. One thing I think is very important in this story is that the young man didn’t ever give up. And this was the sort of testing of the monk: he was teasing, he was pushing, he was withdrawing, and he was asking with this and without words, “Do you really want it?” And the young man was so often about to give up but …finally he is rewarded with an entirely different life. I think I’m living my life, I’m managing my life, working mainly as a life coach and management consultant. This is my main job: Using the horse, taking the horses to explain, to make things easier, to break down things and make them visible. But, of course, the initiation was the beginning of the life, which has been providing me the tools to take destiny into my own hands—to connect with destiny, have a dialogue with destiny—and the symbol of this crossroad, the symbol of this breakthrough, is and has been the horse. Klaus Ferdinand Hempfling’s THE MESSAGE FROM THE HORSE is available now from the TSB online bookstore. Each year, as we flip the last pages of December in anticipation for the beginning of January, we at TSB take some time to pause and consider the books we published over the past months. 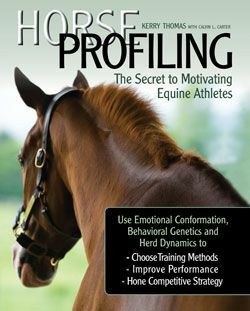 Not only does this process provide an important review of content in preparation for future titles, it also gets us excited, all over again, about the new riding, training, and horse-care skills and techniques our fabulous equestrian authors have shared. In 2015, we tapped the deep well of mindfulness, honed our grooming abilities, and viewed the dressage horse from the inside-out. We found new ways to improve our horses’ confidence and attention, in and out of the ring, had burning questions answered by top judges, and discovered new pursuits that make kindness with our horses and others the goal and guiding principle. We found reasons to ride light, think deeply, laugh, and be thankful for our lives with horses. 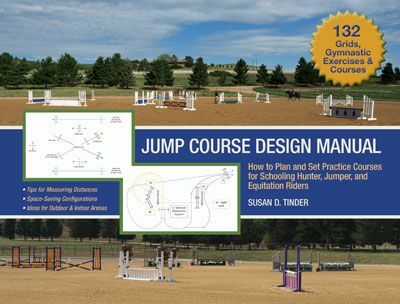 TRAINING AND RIDING WITH CONES AND POLES (March) by Sigrid Schope is a spiral-bound handbook with over 40 exercises intended to improve your horse’s focus and response to the aids while sharpening your timing and accuracy. Who hasn’t looked for ways to spice up ringwork and keep his/her horse interested in schooling circles? Here’s the answer, whether you’re practicing on your own in the ring or teaching lessons. GALLOP TO FREEDOM (Paperback reprint—March) by training superstars Frederic Pignon and Magali Delgado. TSB was the first to bring you thoughts on training and working with the original stars of the international hit show Cavalia, publishing their book back in 2009. The continued value in this storied couple’s work meant that six years later, it was time to release the bestseller anew in paperback. WORLD-CLASS GROOMING FOR HORSES (April) by professional grooms Cat Hill and Emma Ford with over 1200 color photographs by professional photographer Jessica Dailey. 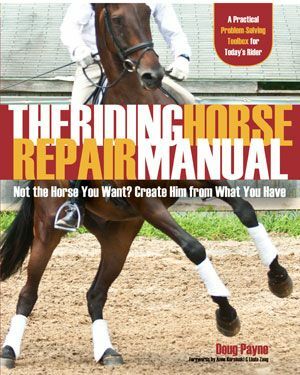 A bestseller before it was released, this unparalleled photo reference gives every horse owner the tips and tools he/she needs to keep horses in tip-top condition, looking and feeling their best, in and out of the show ring. 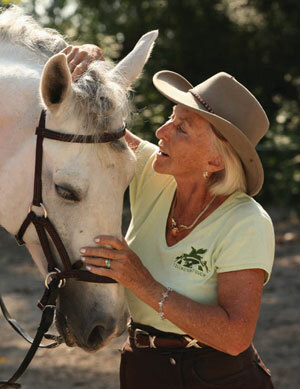 THE COMPASSIONATE EQUESTRIAN (May) by renowned veterinarian and author Dr. Allen Schoen and trainer Susan Gordon provides 25 principles each of us should live by when caring for and working with horses. Using personal stories and current scientific research, the two write convincingly of the need for an industry-wide movement to develop deeper compassion for not only the horses, but the people, as well. 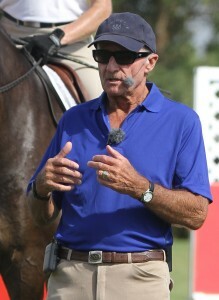 THE DRESSAGE HORSE OPTIMIZED (June) by Masterson Method founder and author of BEYOND HORSE MASSAGE Jim Masterson and dressage rider Coralie Hughes. 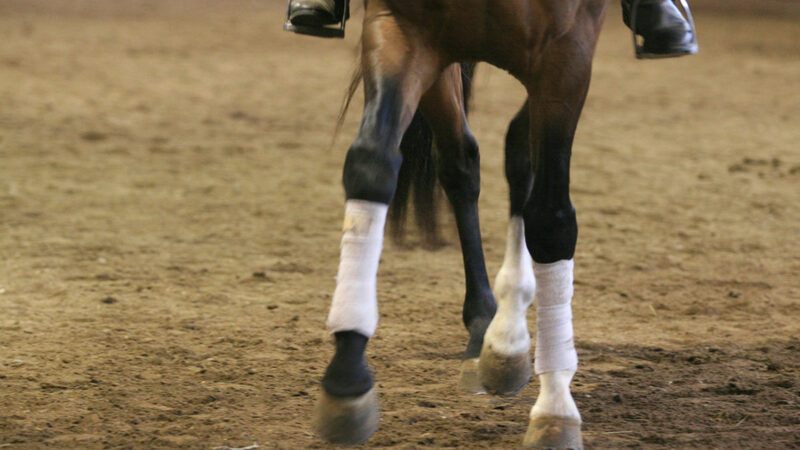 Jim and Coralie team up with Grand Prix dressage rider Betsy Steiner and creator of Anatomy in Motion Visible Horse and Visible Rider Susan Harris to demonstrate how the muscular and skeletal structure of the horse work in dressage movements. Then Jim provides specific techniques from his popular form of bodywork to alleviate stress and improve performance. 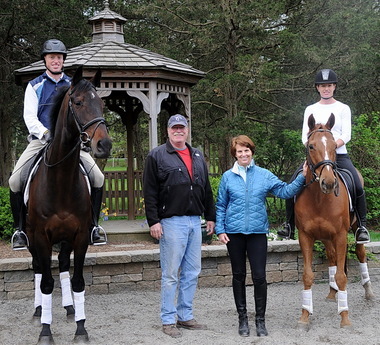 DRESSAGE Q&A WITH JANET FOY (July) by FEI/USEF dressage judge Janet Foy. This easy-to-use reference is a follow-up to Janet’s incredibly popular DRESSAGE FOR THE NOT-SO-PERFECT HORSE, featuring the most common questions she has received over the years. Janet tells it how it is, and includes plenty of her own stories from the road to keep us laughing while learning. OVER, UNDER, THROUGH: OBSTACLE TRAINING FOR HORSES (September) by Vanessa Bee, author of the bestselling HORSE AGILITY HANDBOOK and 3-MINUTE HORSEMANSHIP. Vanessa has made a name for herself as a terrific educator, delivering superior and thoughtful training techniques in bite-size chunks. OVER, UNDER, THROUGH doesn’t disappoint, with loads of step-by-step photographs and useful lessons for meeting everyday challenges with your horse in a positive manner that guarantees success. COWBOY DRESSAGE (September) by Jessica Black with Eitan and Debbie Beth-Halachmy. Jessica teams up with the founders of Cowboy Dressage to trace the origin of the movement to the present day, then taps Eitan’s expertise to provide readers the basics they need to get started in the pursuit of “kindness as the goal and guiding principle.” Eitan and Debbie describe Cowboy Dressage as a lifestyle rather than a sport, and the book mirrors that mission, inspiring us with beautiful photographs and honest ideals. THE ESSENTIAL FERGUS THE HORSE (October) by artist Jean Abernethy. 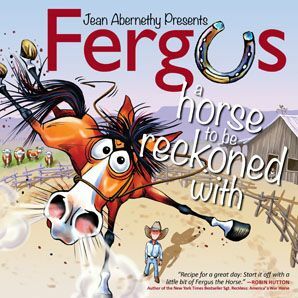 Fergus the Horse is a social media celebrity with well over 300,000 Facebook fans. This treasury of his greatest hits features comics from past print publications as well as those that have made the rounds online—and in addition, 25 never-seen-before cartoons. Jean also shares a little about her rise as an illustrator and the backstory that explains the birth of her famous cartoon horse. THE MESSAGE FROM THE HORSE (October) by Klaus Ferdinand Hempfling. The world knows Klaus from his bestselling books and DVDs, including DANCING WITH HORSES and WHAT HORSES REVEAL. 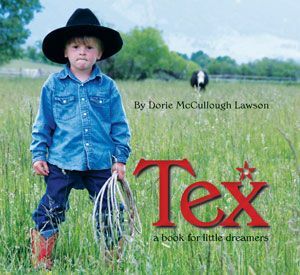 Over 10 years ago, he detailed his own story in the form of an autobiographical narrative, detailing his discovery of how to be with and learn from horses, as well as how to apply what they teach him to his life as a whole. Now this story is in English for the first time. BALANCE IN MOVEMENT (Paperback reprint—November) by Susanne von Dietze. 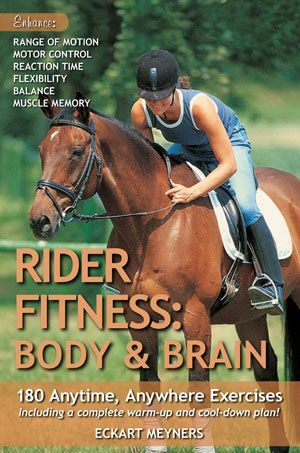 A perennial bestseller, demand for the book led to us bringing it out in a fresh format, ready to introduce a new generation of riders to Susanne’s sensible lessons in horse and rider biomechanics. RIDING THROUGH THICK AND THIN (November) by Melinda Folse. Melinda’s last book THE SMART WOMAN’S GUIDE TO MIDLIFE HORSES gained her an enthusiastic following of readers who appreciate her big-sisterly swagger and humor. This new book is the culmination of years of research, providing us all guideposts for riding and being with horses, whatever we look like. Melinda’s goal is to give our body image a boost, and she provides countless proactive ways for us to take a good look in the mirror and finally like what we see. BASIC TRAINING OF THE YOUNG HORSE (Third Edition—December) by Ingrid and Reiner Klimke. 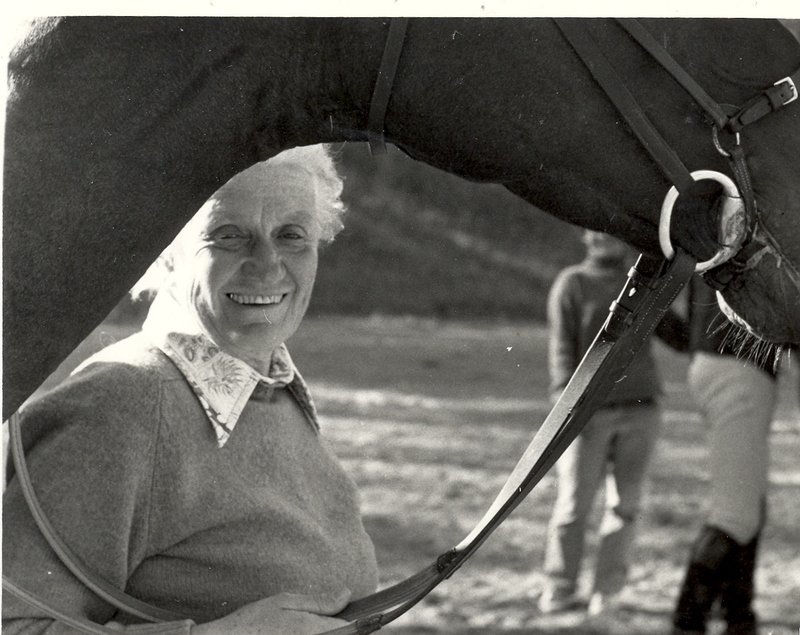 It’s the Klimkes’ classic text, refreshed with new photos of Ingrid on her top horses. Need we say more? 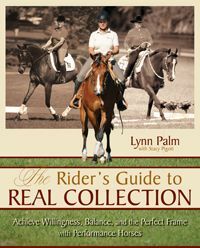 For more about these 2015 horse books, and our complete list of top equestrian books and DVDs, visit our website www.horseandriderbooks.com. Trafalgar Square Books, the leading publisher of horse books and DVDs for 30 years, is a small company based on a farm in rural Vermont. We are so excited to have just released THE MESSAGE FROM THE HORSE, an autobiographical narrative by Klaus Ferdinand Hempfling, author of the international bestsellers DANCING WITH HORSES and WHAT HORSES REVEAL. In this compelling read—what I like to call “Siddhartha for horse lovers”—we travel alongside a young Hempfling as he seeks out life’s deeper mysteries and meaning. We experience his failings, just as we strive for the same understanding he ultimately achieves. Fernando, our neighbor’s chubby son, has climbed the steep hill below us as fast as he can manage and only just has enough wind to shout out his message toward the rear wall of the house. He can’t see me but must have guessed that at this time of day I would be working with one of my stallions behind the half tumbled-down wall. Finally his little round, red face appears in a large hole in the wall, and he repeats his message before I can say anything to calm him. I have never seen this boy so animated before and decide to forego any questions: it is clearly an emergency. I lead my horse into his stall while I shout to Fernando to go straight to the jeep. A minute later we are bouncing down the precipitous stony track; the sun is already low on the horizon and even though here in the mountains we are over 100 kilometers from the sea I have, as I often do on evenings like this, the sensation of being able to smell fish in the air. As soon as the sun sets, the smell disappears and is replaced by the strong odor of the pine trees that clothe the slopes. In front of us, the old house looks across a wide dusty plateau; to the left of us the road, shored up by the ubiquitous, half-crumbled walls that cover the landscape, plunges down to the valley. We pull up in front of the group, which stands aside. The boy leaps out and starts to run toward the cage before Antonio stops him. Only now can I see the tragedy: they’ve driven Pinto, a fiery young stallion, into the narrow steel cage, which is big enough to contain a bullock or a small horse but without leaving the creature the smallest room for movement. Whole herds are trapped by using this dreadful contraption. When the front and back gates of the cage are closed, no resistance is possible. In this case the stallion is thrashing about in such a panic that in addition they have used a serreta, a veritable instrument of torture. Sharp spikes are digging into the tenderest part of the horse’s nostrils and the rope attached to the serreta is now tangled around one of his forelegs. Any attempt to move him or indeed free him from the cage only increases his panic and tears his nostrils even more severely. Through gritted teeth, I take a deep breath before greeting him as civilly as I can. He replies but I am not really listening. I slowly approach the cage. I see the serreta, which by now has reduced the nostrils to a bleeding lump of flesh, and my blood boils. I pause a moment as Antonio looks questioningly at me. I go toward Jose. He looks over momentarily at his father, but Antonio is impassive and nods without saying a word. The youth does what I ask, and the little stallion jerks his head upward in fright and to one side. Now I can get hold of the rope to sever it. At this point his front foreleg is so bent that he is almost lying on his side; the right hind leg has slipped through the bars of the cage and every convulsion only aggravates his situation. I ask the group of men to back away from the cage and give me space. I gaze into the evening sky at the setting sun. I feel the calm. I feel the tension draining away. I feel the chaos of the situation like a knot—one that can gradually be undone. distance. I am aware of a change of scents in the air: The wind has veered to the southwest, and it is pleasantly warm as it blows softly up from the valley below, carrying the heavy scent of the herbs that carpet the hillside. I breathe deeply and slowly, relishing the beautiful, mild evening; I feel the warmth of the sun on my left cheek and the breeze ruffling my hair. Once again I take a deep breath and enjoy the soft, balmy air. My fingertips begin to stroke the sweat-drenched neck of the little stallion. His eyes are now half closed and he has become completely calm. Only the horse can hear my voice as I describe the beauty of the evening to him. Be among the first to read the rest of THE MESSAGE OF THE HORSE by Klaus Ferdinand Hempfling, available for the first time in English in a beautiful translation by David Walser. Buy one for a friend, too, and get 20% off your order! Click image to find out about the books and DVDs from Klaus Ferdinand Hempfling. In TSB author Klaus Ferdinand Hempfling’s seminal book DANCING WITH HORSES (recently re-released in paperback), he tells the tragic tale of a railway worker who was fixing a refrigerator car late one Friday afternoon. His fellow workers, unaware that he toiled away within the car, closed the door and locked it, trapping the poor man in what he thought was a bitter cold prison for the duration of the weekend. On Monday morning, they found him, frozen to death in a corner of the car. Strangely, this particular refrigerator car was not functioning, and the weekend had been a lovely, sunny one—and yet, the man had frozen to death. How? As the story goes, he convinced himself that he was locked in and facing certain death, and the idea—the power of his mind—led to his demise. Click image to order Dancing with Horses. Klaus explains that this power can work in positive ways, as we often learn through the techniques of visualization promoted by sport psychologists (such as TSB author Daniel Stewart), but as demonstrated in the “Tragic Tale of the Railway Worker and the Refrigerator Car,” in negative ways, as well. And we need to do the same thing with our horses: We need to overlook many of the “errors” they make and be ready to praise them for the good things they do. This empowers the positive mindset, rather than the negative one. In addition, when we discipline ourselves to see the positive and overlook the rest, our interactions with others—whether with our children or our horses—are friendlier, more confident, and full of calm certainty. Klaus Ferdinand Hempfling’s bestselling books DANCING WITH HORSES and WHAT HORSES REVEAL, and his DVDs DANCING WITH HORSES and COMING TOGETHER, are available from the TSB online bookstore, where shipping in the US is FREE. Klaus Ferdinand Hempfling rocked the horse training world when he first shared his ways of using his background in theater and dance to communicate via body language with the horse. This charismatic trainer’s methods of working with horses have been embraced by thousands of participants around the globe. His acclaimed first book, Dancing with Horses, has been an overwhelming success throughout Europe and North America. And it is now available in a new paperback edition! In Dancing with Horses, Hempfling demonstrates his fascinating method of communicating with and teaching the horse. Hempfling uses the visual language of the natural horse herd to develop an innovative and inspirational program for every rider. If you haven’t yet ventured into the world of Hempfling and his awe-inspiring work, now’s your chance to discover what might just be the missing link between you, your horse, and the ultimate dance partnership.